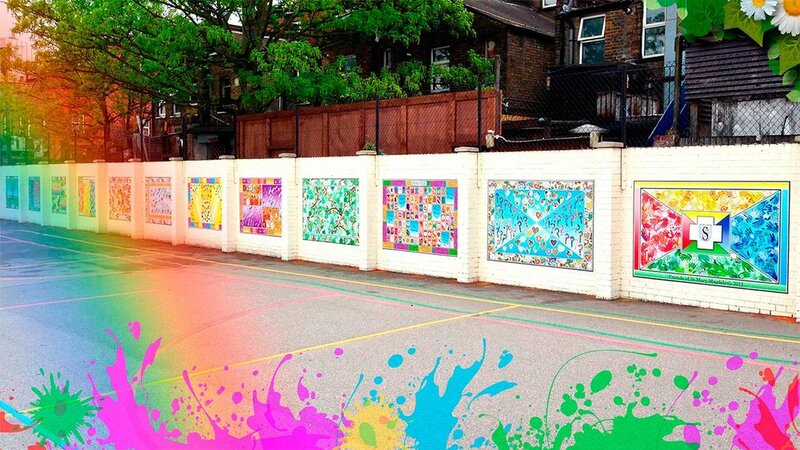 At Love Art For Schools we specialise in creating inspiring environments to uplift primary schools, spaces in the home and local communities. 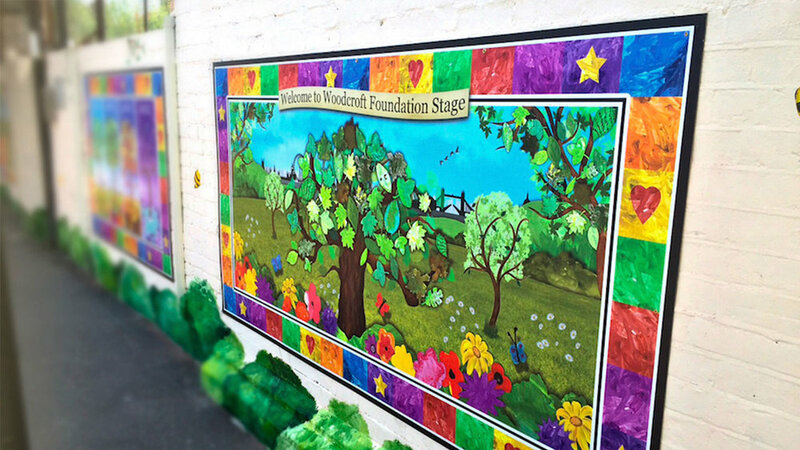 This ranges from offering our ready-to-use displays which provide an alternative to backing display boards to our permanent murals which can include children’s art workshops. 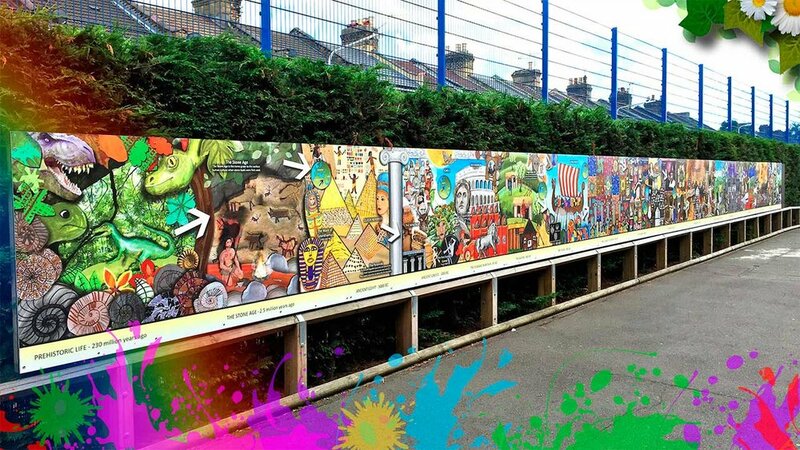 Our murals are perfect for getting the children involved in creating permanent artwork in or around your school. We can either visit your school to complete workshops with the children or we can send you easy to follow instructions. Our instant displays contain colourful, informative, inspiring borders and spaces ready to display children’s work or class information. They are printed onto a flexible vinyl which can easily be attached to existing display boards within the school using staples or other fixtures. We offer unique artwork for children's bedrooms and play areas. Each project is totally bespoke allowing us to include any artwork created by your children into the design. Our images are printed onto rigid, durable and easy to install surfaces. "The work they do is timeless and lifts our spirits every time we walk past”.